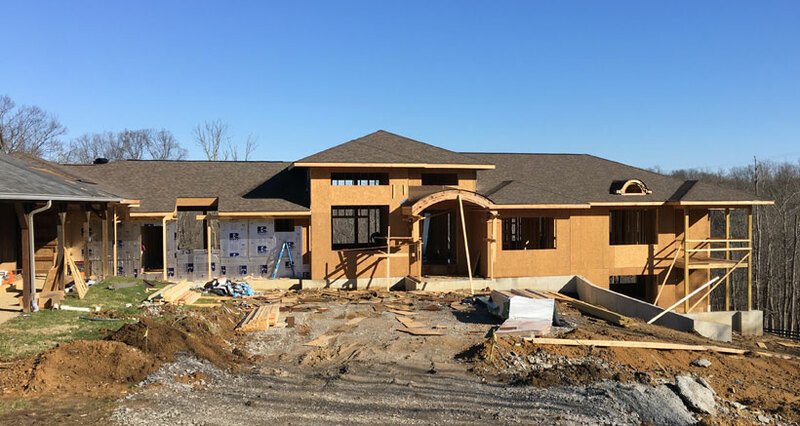 Childress and Cunningham has designed and is currently constructing a sprawling Craftsman Style home on the east side of Cincinnati. 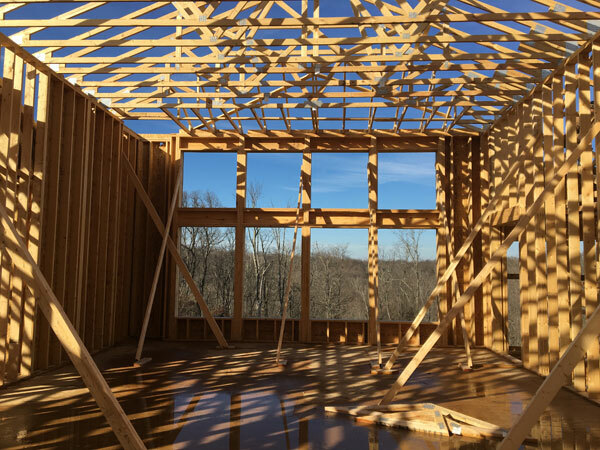 In addition to dramatic open interior spaces, the home is skillfully created to take advantage of its site of which two principle features are an existing barn to the south of the house and sweeping wooded vistas to the north and east. The existing barn adds a rustic charm and functionality desired by the client and will be incorporated into the new structure with a new roof and redesigned dormers and porch columns to reflect the new home’s design. What’s most apparent in the residence’s design, however, is the great extent to which vistas have been leveraged. The north and east sides of the home eagerly capture the forest panoramas with window walls provided for the major living spaces oriented towards the expansive valley beyond. Prioritizing the views is underscored with many spaces devoted to screened porches, expansive deck, lower level patio and pool deck. Truly a home worthy of its site! Posted in Architecture Projects Single Family .